host, the show simply wouldn't be the same. Ryan Seacrest hasn't yet decided to leave Idol, but with every new season, the fear of small ratings threatens to take away familiar faces. After all, when Season 14 of American Idol premiered Jan. 7 on Fox, Idol made some serious changes. And that's after longtime Idol standby Randy Jackson officially left the building, vacating his spot as a mentor. Even the Coca-Cola cups and the weekly live eliminations are gone. Is Seacrest next? Luckily, it seems that the one thing that has never changed and probably won't for as long as the show survives (knock on wood) is the loyal, multi-talented host Ryan Seacrest. While he's only contracted for this season, if he was going to leave, I wager that he would have already. And thank goodness he hasn't, because the show simply could not survive without him. When Ryan's two-year Fox Broadcasting deal at American Idol ended in May, fans feared that his exit would finally come after 13 years with the once-prevailing singing competition. But since Jan. 7 marked the much-anticipated fourteenth season with Ryan at the helm, we can be sure the rumors are just that: rumors. I'll admit it made sense for Ryan and Randy to make their Idol exits the same year, but I'm not convinced that there would be a Season 14 without the beloved and familiar host. Idol has lost many faces over the years, including a plethora of mentors and judges who couldn't handle the hot seat any longer. Personally, I didn't think the show had a chance of surviving once it lost its only rightfully blunt and constructively critical judge Simon Cowell — especially after he announced that he'd be producing a brand new, re-invented singing competition called X-Factor. And yet somehow the show is in its fourteenth season and if you ask me, Ryan Seacrest is the reason it's still around. Though there was chatter that "dream judge" Justin Bieber could even be the one to fill Ryan's hosting shoes, and Seacrest willingly admitted that Bieber is Idol host material. But with brand new judges, unfamiliar mentors and a fresh competition format — add a new host and you might as well change the name of the whole show. Contrary to popular belief that Justin or his then-girlfriend Selena Gomez would be joining the Idol team, the show will continue with four of the very best in the business at least for now. There's no telling whether the competition will survive for a 15th season, or if the unique panel will remain in tact. But Seacrest allegedly closed a deal with FOX that has him glued to the reality series for this season with an option for another season. According to Variety, Idol's decline could be a hindrance to his wallet, but Seacrest is said to be loyal to the Fox series that jump-started his career. Living up to his word, it looks like Seacrest will do whatever he can as the sole-remaining lifeblood of the show to keep it on its feet. What would Idol be without the multitalented 40-year-old's voice shouting "I'm Ryan Seacrest and this.... is American Idol" into your speakers. He is practically the face of the show and now that ratings have officially plummeted, the show absolutely needs him to stay afloat. 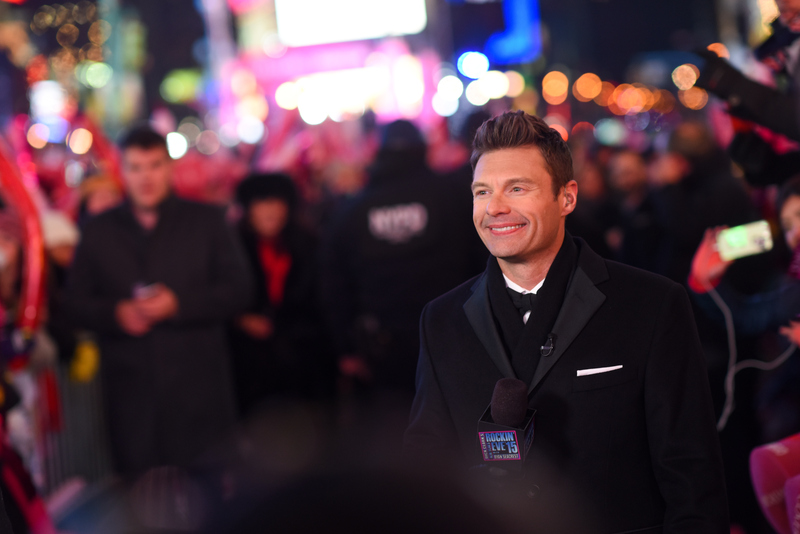 The end of Seacrest's hosting career would mean the end of American Idol. The show already lost major sponsors and air-time on Fox, and losing further viewers would meant losing voters. If no one votes, the right person doesn't win, and if no one watches, the record deal means nothing without fans to go with it. There's no question about it. Ryan Seacrest needs to stay.